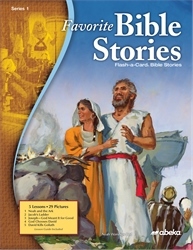 Travel to the Old Testament times with these Bible favorite stories! These brightly colored flash-a-cards depict the stories of Noah and the Ark, Jacob's ladder, Joseph-God Meant it for Good, God chooses David, and David kills Golliath. 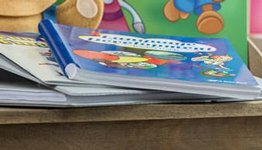 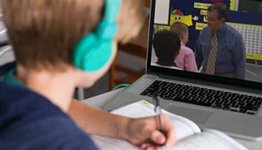 With 5 lessons and 44 colorful pages, you will capture the attention of your child and expose him to doctrinal truths within the Word of God. 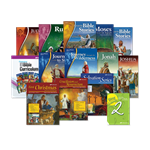 Inspire your child with Noah's obedience, Jacob's faithfulness, Joseph's patience, and David's courage with this favorite set!